Some rockers will do anything to stand out; from soaking their hair in Elmer’s glue to dancing half-naked atop a swinging wrecking ball. Here are five of rock’s most iconic bands and the extravagant ways they broke from the herd. Fire-breathing, blood spitting and floating drums. KISS has a little bit of everything. 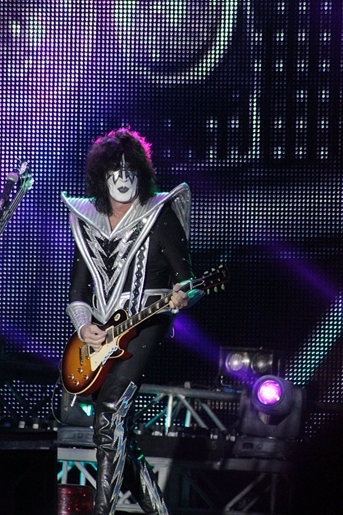 Tommy Thayer’s (Ace Frehley’s replacement) flashy silver costume complete with shoulder pads and thick, curly hair would make any girl jealous. His makeup’s so thick it might as well be a mask. There hasn’t been another band to cultivate a look quite as distinct as this one. A host of bands could have taken the Big Hair crown, but I’ll go with one of my favs: Whitesnake. This British 80s rock band was known for big, blond hair, and lead singer David Coverdale doesn’t skimp on Head and Shoulders. 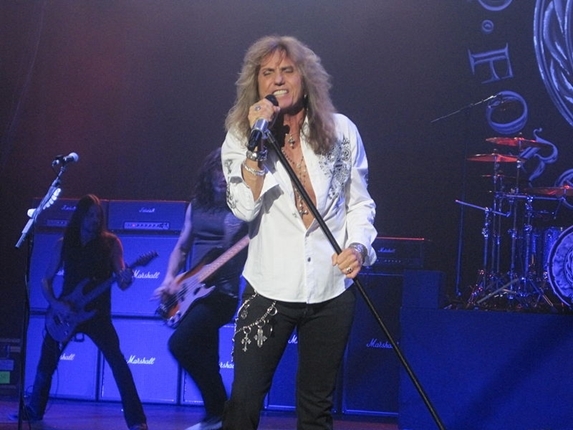 Very few bands are able to replicate Coverdale’s luscious locks. In another age, Whitesnake might be known as The Quintessential Big Hair Band. 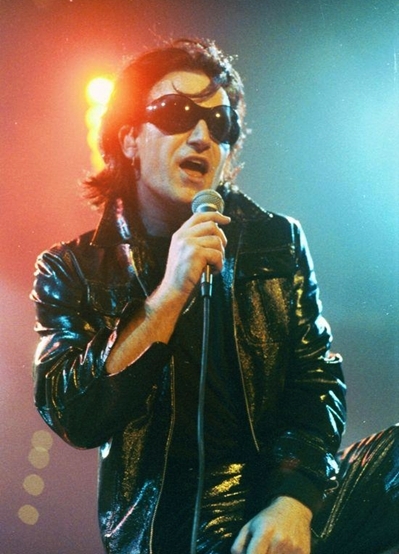 Bono will go down in history as the rocker who wore shades. He’s the one who made wearing sunglasses inside “cool.” Nuff said. 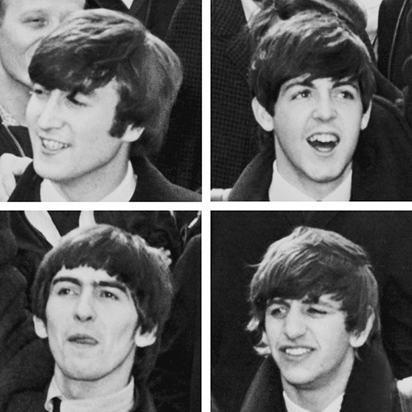 The first boy band to popularize mop-style haircuts, the four Beatles band members forever immortalized floppy hair covering the ears and just grazing the eyebrows. 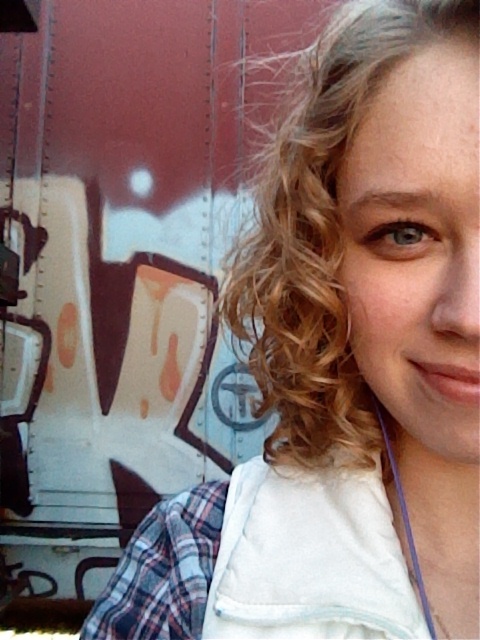 No one else can pull of this hairstyle without losing some street cred. Who said only women can wear eyeliner? 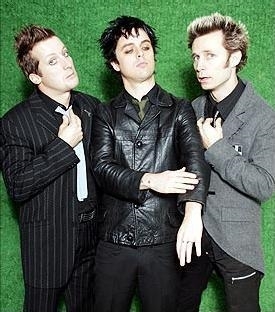 While Billie Joe Armstrong of Green Day is not the first artist in the rock industry to wear makeup, he’s always recognized by the dark eyeliner he wears for almost every band photo and concert. Photo credits: Kiss, David Coverdale, Bono, The Beatles and Green Day.